The heat has left the UK cattle trade on the back of healthy supplies reports the AHDB, the organisation for the English beef and lamb. It reports that UK chill rooms are adequately stocked with beef and this is having a negative impact on the cattle trade. 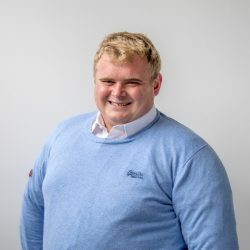 The balanced trade has occurred as a result of cautious procurement managers with the British average prime cattle price now level with the week earlier, it says. British prime cattle made 354.4p/kg for the week ending July 25. Steers and heifers meeting target specification were both back 1p/kg to average 365.3p/kg and 363.8p/kg respectively, it says. The price paid for R3 young bulls has also dropped by 5p to 343.1p/kg. The number of cattle slaughtered in Britain also remained unchanged from the previous week at 30,900 head, but throughput is ahead on the same period last year. This increase has occurred as farmers take advantage of the firm market. 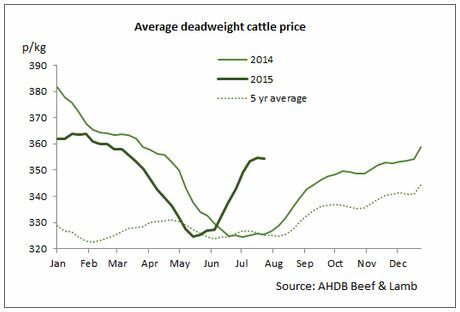 AHDB reports that farmers are marketing older cattle and are resisting the urge to hold cattle at grass. This has taken the edge off the trade in the last couple of weeks it reports, but it also reports that supplies will become tighter as the years progresses. The cow trade has been more subdued with the onset of the holiday period across the continent looming, it says. It reports that the strength of sterling and more cows expected on the market will have a further negative impact on the market. O4L cows have fallen 7p/kg over the past fortnight and are now making 252.3p/kg.